This year is going by too fast, y’all. Two new releases for We Love Roleplay for you! The Darknyss Jewelry is a gorgeous 100% custom made mesh set of jewelry that’s perfect for roleplay. Whether you use the gold as a regal statement piece, the silver as an elven piece, the black for a villainous goth look, or whatever. you’re sure to stun with this breathtaking, attention stealing set. It comes with a circlet that wraps perfectly around the forehead, as well as a necklace held tight with metal chains and a clasp. There are 5 packs of 2 to choose from, and all are tintable, modifiable, resizable, and nano-capable gorgeous 100% original custom mesh, low lag and unscripted. The Romorah Dresses are gorgeous 100% mesh dresses rendered into a fine, silken masterpiece that accents all of your curves in the best ways. It is Rigged mesh and comes in standard sizes as well as a fitted version that’s been tested with Maitreya, and Slink physique and Hourglass versions, as well as two separate versions with two styles of markings all over the dress, precisely placed to highlight the elegance and kickassery of whatever woman wears it. 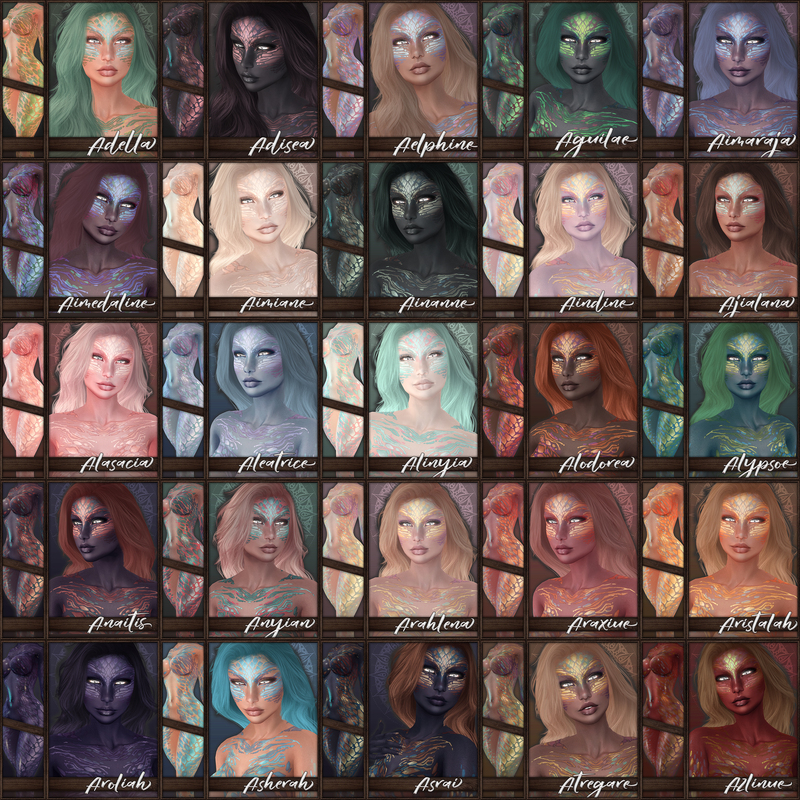 Twenty variations to choose from, all saturated with gorgeous colors and markings, gorgeously rendered shadows and highlights, and in a sheen that’ll match whatever you pair it with, almost an ethereal mithril type fabric. ~ by Vae on March 4, 2016.